When your server uses an SLL, the connection between your browser and your server is secure; this means that all web traffic between the web server and the web browser will be secure. By using an SSL certificate. Your information is unreadable to anyone who attempts to steal it. The only people able to decipher it are the intended recipients at the other end of the connection. With an SSL certificate, you can use your CRM being secure that no one that has got access to the network, or if you are on a public network can read the information between your browser and the server. SSL operates between a visitor’s browser and your application. It’s an industry-standard mechanism that ensures the encryption of data being passed backward and forwards so that no unauthorized person can spy on the information and hack it. It also prevents cyber criminals from diverting visitor traffic to their own site using their own encryption and gaining access to your data that way. All the leading web browsers have SSL capability built web browsers have SSL capability built in. 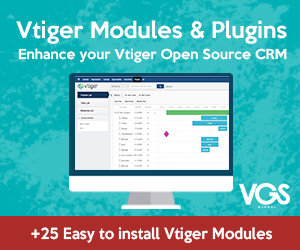 Do I Need an SSL Certificate for my Vtiger CRM instance? There is no reason why a sensitive data like the one store in the CRM could not be beneficiated by using an SSL on your server. That’s all. Now save the file, and you should be ready to go. If you are using a different server set up, just google how to set up an SSL on your server. You should find a tutorial in no time.